Wondering how to start your job search? You've got everything it takes to land your next big gig at the salary you deserve. Communicate your value in bottom-line terms decision-makers love. 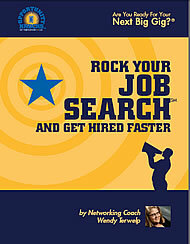 Create resumes and cover letters that stand out. Yes, I Want to Get Hired Faster! Click the button to get your interactive workbook - $24.95.